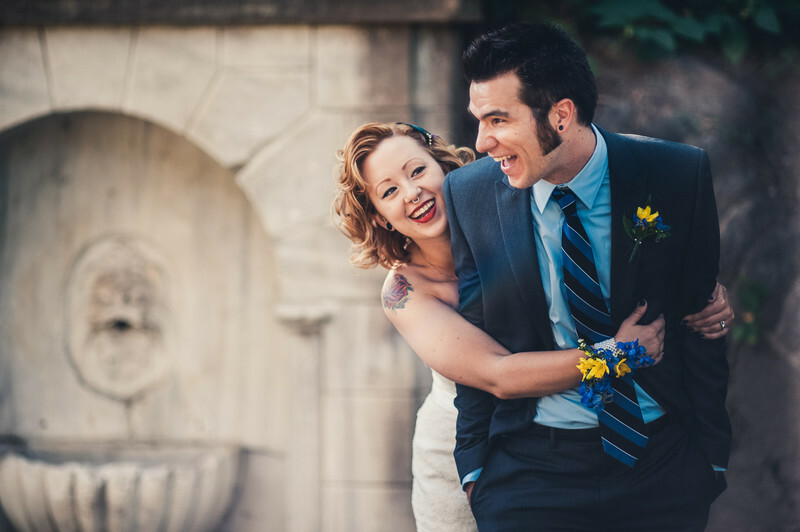 This tattooed couple got married on Boathouse row in Philadelphia. They had a beautiful wedding on the Schuylkill River with the Philly skyline as a backdrop. This photo was taken across the street on the beautiful Kelly Drive. This is one of the best places for wedding photos in Philadelphia. Many couples choose to visit the gardens or boathouse row for their wedding photos. If you want to learn all the best secret places just ask me! This photo ended up getting picked for the Lovesick Expo a few years ago.